process of thinking, behaving and feeling and being. Welcome to Wells Therapies – Hypnotherapy, CBT and Counselling in Tunbridge Wells. 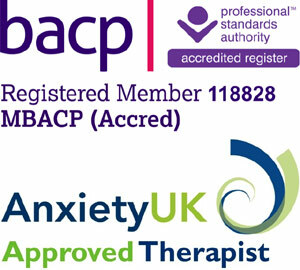 As an integrative psychotherapist I have training and experience in using a number of different types of talking therapies. This enables me to tailor therapy to the needs of my individual clients. I believe that both the therapeutic relationship between client and therapist, and the knowledge and techniques that the therapist brings to the therapy to be of equal importance. I am also a qualified nurse, midwife and health visitor and have spent time as a nurse specialist in, and, in academic research into, infertility. In these capacities, as well as in my work as a psychotherapist in both the voluntary sector and NHS, I have experienced being alongside individuals, couples and families at significant and sometimes traumatic periods of their lives. In my therapeutic work with clients I strive to provide a service which is professional, compassionate and safe. Therapy is a collaborative process in which you bring your expert knowledge of yourself and your experience, and I bring my knowledge about different types of psychological distress and some of the approaches which have been shown to have efficacy in helping people to resolve this. I work differently with each client according to what it is they are trying to achieve from therapy, their personality and their preferred style of working. Some clients come with very specific goals which are suited to short-term and structured solution focussed therapy such as CBT, whilst others are confused about their thoughts and feelings and prefer to start with a less structured form of counselling. Hypnotherapy, mindfulness, and NLP can be used alongside both counselling and CBT to help clients striving to incorporate new or more helpful patterns of thought and behaviour.